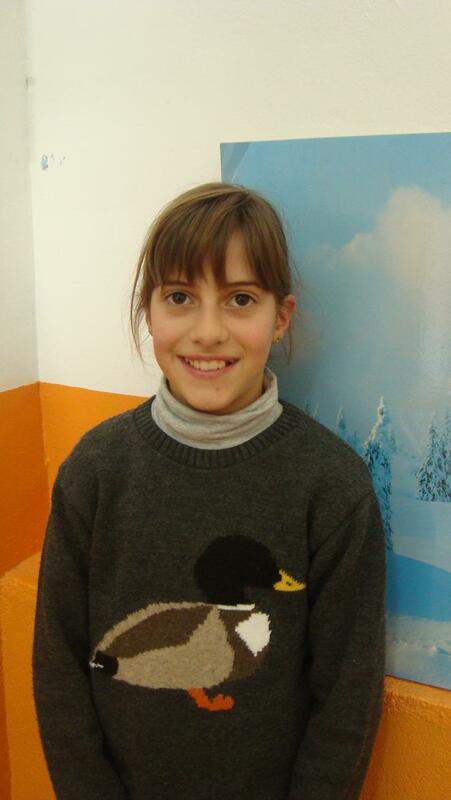 Hello, my name is Martina Muñoz Mercadal, I’m eleven years old and I live in Copons. I haven’t got brothers or sisters but I have a turtle. My mother is Elisenda and she is fourty-four years old. My father is Carles and he is fourty- two years old. I like music and football. I polay the violin in Igualada. I don’t like dolls. My favourite food is cheese and chocolate, but I don’t like tomatoes or cabbage. I’m very sympathetic, creative and funny.